We’ve all been to great gigs, but the truly amazing shows change your point of view. You could argue the toss between stadium-sized orgasms and sweaty intimate club sessions, but in the end what really matters is how it could moved you. Too many feelings wrestled in my head during SORE’s comeback concert that evening. Vigorously psyched realizing that after all of these years, finally the comrades are back in the game, but in a split of a second getting all mellowed. To be more vivid, it was like having a dinner with your long-lost ex that left years ago for no reason. I tend to get sentimentally mushy in these kinds of situations. Not keen at emotional events. Everyone seems to be as anxiously excited as me, longing eyes patiently waiting and snaking in queues that evening, to finally redeem years of yearning. Limited merchs and the fresh new album “Sorealist” stocks were slowly dwindled as people invaded Rolling Stone Cafe Live Venue. For many today’s so-called cutting edge fellows, SORE honed up the vibrancy and opened up a path. Their first full-length album Centralismo (2005) is a stepping stone cooked with a mixture of vintage instruments, perfect songwriting and a great deal of friendship. Their second attempt Ports of Lima (2008), is a bizarrely beautiful piece that helped me through wearying times at that era. The last physical trace of them was 2010 EP, Sombrero Kiddos. After years of self-exile, SORE’s return started miraculously sharp with “Sssttt…” uploaded in Soundcloud. It took only hours before the page reached thousands hit and became talk of the week, everywhere (Yes, everywhere. Even Kele Okereke gave a shout). The next wave resulted even better; the song hit no.1 for most downloaded song in iTunes Indonesia. Indeed, smooth landing after a long – most likely exhausting – journey. With those reasons, documenting their comeback gig becomes obligatory. The crowd started to jostle their way into the front of the stage when I successfully sneaked into the not-so-empty balcony to get proper viewing to the stage. Rumor has it (and apparently it’s true) that it was the most packed gig held in Rolling Stone Live Venue. Seemed that the Los Skut Leboys are in fact, missed by everyone. Just like a mannered Paterfamilias, Awan Garnida, Ade Paloh, Reza Dwi Putranto and Bemby Gusti dressed to kill. While Reza looked like your uncle from countryside and Bemby was a Kung Fu trainer, Awan wore black on black turban, and Ade wore a complete Thawb dress. Couldn’t get any cooler than that. For a fan like myself, the gig was an emotional roller coaster. The amazing feedback from the crowd was unquestionable, but it was no secret that they had rough time after Ramondo Gascaro left and it was a hard job to getting over it. Everyone knows that the band is fueled from scratch with bold bromance between the band members. On stage between songs, Awan and Ade often mentioned Mondo, and it was not a hard thing to realize that they missed their friend so much. During “Etalase”, you could watch Bemby teased Ade. 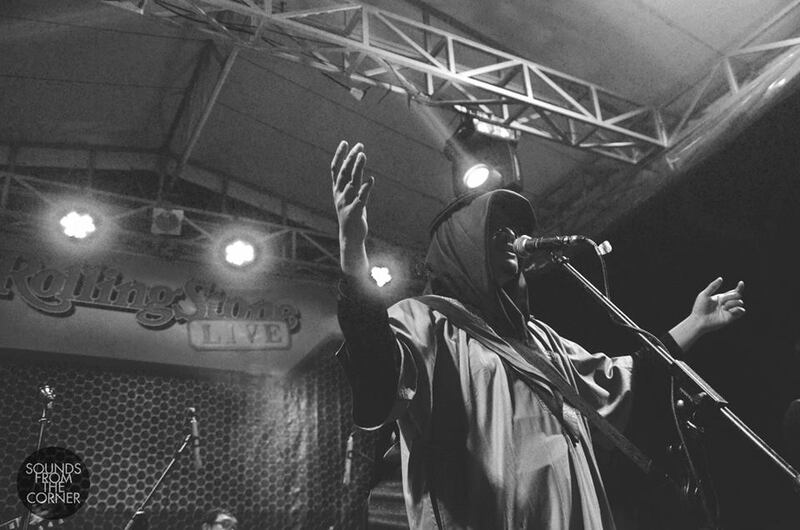 Behind the thick sunglasses, Ade even shed a tear on “Bantal Keras”, the new song (won’t be played again ever, just that one time) from Sorealist that pretty much elaborates his feeling that evening. On the other hand, happiness burst as Awan announced the birth of his newborn baby. 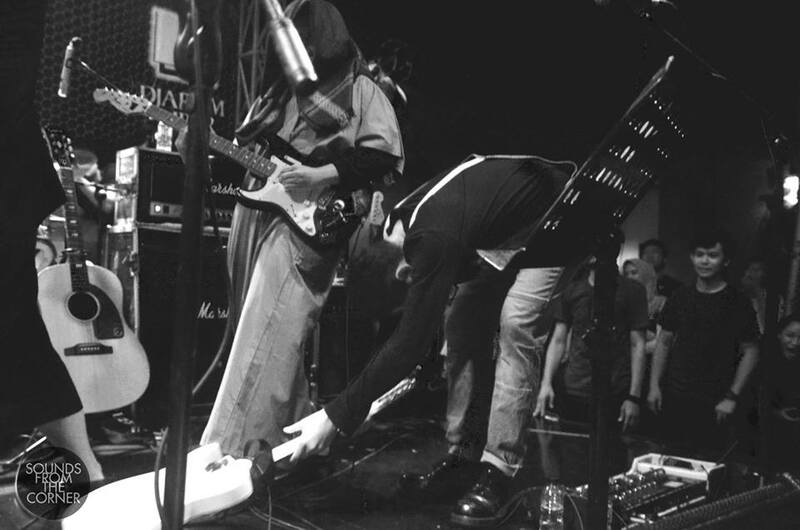 Another shocking ace moment when Eca surprisingly smashed his guitar during Funk The Hole climax (no one saw THAT coming, even his own band mates, I think). Not to mention the clamorous sing alongs during nearly every song they played. Just like I said, an emotional Roller Coaster. It wasn’t just a gig. What I saw is a group of people who struggled their way for the sake of togetherness. They deserved it. Things might get bumpy, but what matters is how we deal with it. That evening, SORE taught us how to survive, to keep making music and stay together, to sincerely love your friend, to love your family, and to love your life. And that my friend, is a gig that really changes your point of view. Ladies and Gentlemen, Sounds From The Corner presents, SORE ZE BAND!